A civilian helicopter mad an emergency landing at a Kmart parking lot in Redwood City after the pilot reported a minor mechanical issue. Mechanics from the San Carlos airport came to make repairs which allowed the chopper to continue the trip, police said. No one was injured Saturday when a helicopter made an emergency landing in a Kmart parking lot in Redwood City about two miles from the San Carlos airport, Redwood City police said. 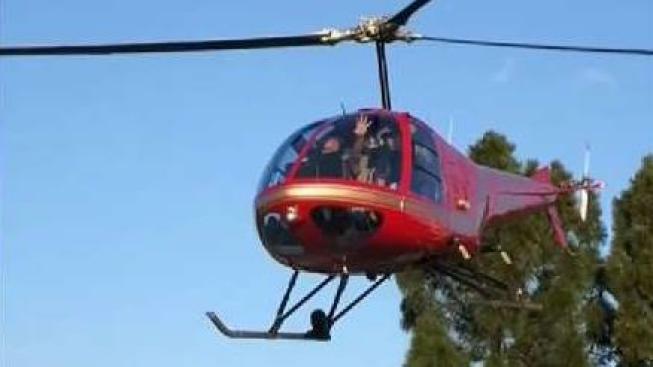 The civilian helicopter was bound for the San Carlos airport at about 4:30 p.m. Saturday when the pilot reported a minor mechanical issue and made a "safe, controlled landing" in the parking lot of the Kmart store on Veterans Boulevard. Mechanics from the San Carlos airport came to the scene, and made repairs allowing the copter to resume its trip at about 6:25 p.m., police said. The National Transportation Safety Board has been notified of the emergency landing, police said.